Syrac Ordnance Lo-Pro/Lo-Vis (Low-Profile/Low-Visibility) Adjustable Gas Block for tactical AR Carbine/SBR’s (AR-15/M16 and AR-10/SR-25-type): Melonited Stainless Steel Gas Block! | DefenseReview.com (DR): An online tactical technology and military defense technology magazine with particular focus on the latest and greatest tactical firearms news (tactical gun news), tactical gear news and tactical shooting news. Syrac Ordnance Lo-Pro/Lo-Vis (Low-Profile/Low-Visibility) Adjustable Gas Block for tactical AR Carbine/SBR’s (AR-15/M16 and AR-10/SR-25-type): Melonited Stainless Steel Gas Block! Back in February (2013), shortly after SHOT Show 2013, DefenseReview (DR) mentioned the MicroMOA 'The Govnah' Modular Regulated Gas Block lo-pro/lo-vis (Low-Profile/Low-Visibility) adjustable gas block for AR-15 and AR-10/SR-25-type tactical AR rifles/carbines/SBRs in our article on the Legion Firearms LF-4D 5.56mm tactical AR carbine and LF-10D 7.62mm tactical AR carbine, since it looked like a well-designed and well-made product. 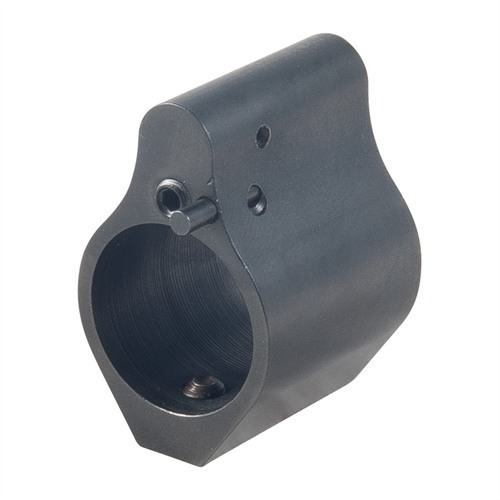 Well, Jason Adams, formerly of piston AR manufacturer Adams Arms, has started a company called Syrac Ordnance, and it looks like they, too, are offering well-designed and made lo-pro gas blocks for 5.56mm and 7.62mm ARs, which are now available from Brownells. Because it is awesome. I like melonite and if you use the proper stainless it holds its hardness because the tempering temperature is higher than the melonite processing temp, where a carbon steel like 4140 or 4150 would loose some internal hardness because the tempering temp. of those steels are lower than the melonite processing temp. Melonite is great for surface hardness, and with the mechanism on the block I need hard surfaces within the part. Melonite gets in holes. i have to agree, having seen what a PWS [Primary Weapons Systems] barrel can do, 1MOA after 20,000 rounds melonited stainless is the sh*t.
The type of ammo you shoot through your rifle can and usually will make a difference on where you set the gas setting. I start by determining what ammo I am going to use to shoot through that rifle. Or you can use the lowest pressured ammo that you will shoot in the rifle. Using the lowest pressured ammo assures that the rifle will cycle with whatever you put in it. If you set it for the low pressured ammo and run high pressured ammo it might run faster than you want (more recoil). That is why I set it with specific ammo; The ammo I am going to usually shot through that rifle. The great thing about the gas block is that you can adjust it in the field to adjust to the ammo you are using. I set it while the rifle is dry (no oil). This way when you are shooting it and it gets dirty it will have a bit more force to run. If you set it when it is wet (oiled) and it drys out or gets dirty because of high fired rounds it can slow the carrier down and cause function issues. So, I initially set it while it is dry. The gas hole in the block is totally open when the gas screw is showing three thread out of the front of the gas block. This is your starting position for the gas screw. Three threads showing. Make sure the rifle is unloaded. Remove the magazine and visually inspect the chamber to make sure there is not a round in the chamber before you attempt to adjust the gas screw!! Remove the magazine, and visually clear the chamber every time you adjust the gas screw. 1. For the first adjustment of the gas screw, screw the screw IN three revolutions. If you need to repeat step 1, as defined in the following steps, then turn the screw IN one revolution. Make sure the screw is locked into place every time you adjust it. 2. Load the rifle with one round in the chamber and the magazine empty but locked in the mag well. 3. Fire a single shot. If the bolt locks back then screw the screw in a half a turn and repeat step 1 thru 3 until the bolt does not lock back. If you need to repeat step 1, then screw in the gas screw in ONE revolution. If the bolt did not lock back go to step 4. 4. If the bolt did not lock back then UNSCREW the screw one quarter of a turn. Load the rifle with one round in the chamber and an empty mag locked in the mag well. 5. Fire the single round. If the bolt locks back you are finished. If the bolt did not lock back then repeat 4 and 5 until the bolt locks back. 6. You can repeat steps 1 thru 5 with an oiled rifle to get the cycle rate down as low as possible. 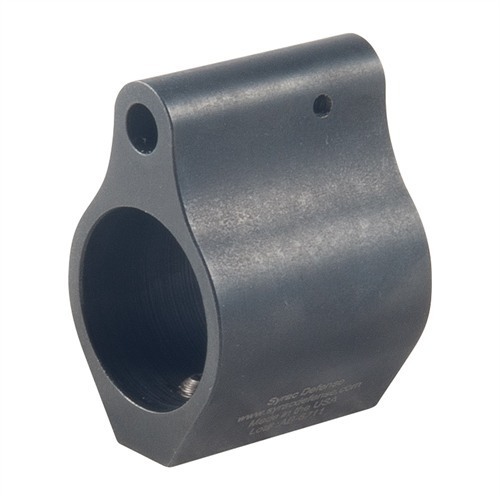 As mentioned above, Brownells is now carrying the Syrac Ordnance AR lo-pro gas blocks, so check 'em out. 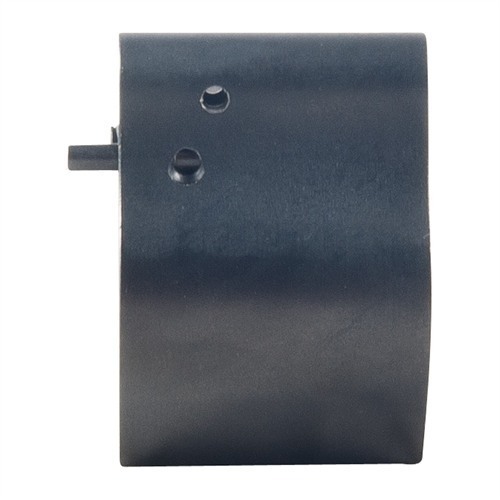 Adjustable gas block enables the shooter to fine-tune gas flow and rifle performance in the field. 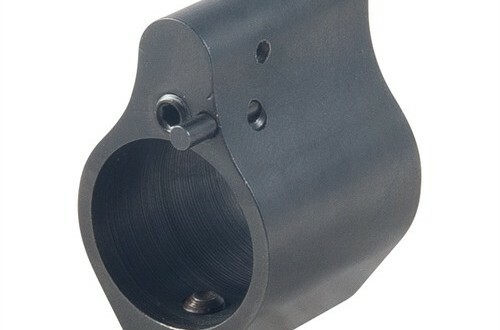 Designed to fit under free-floating handguards, the block secures to the barrel with two setscrews. Adjustment screw on the front of the block accepts the included hex wrench; a detent locking mechanism keeps the screw securely in place without the need for thread-locking compound, providing smooth and consistent cycling."